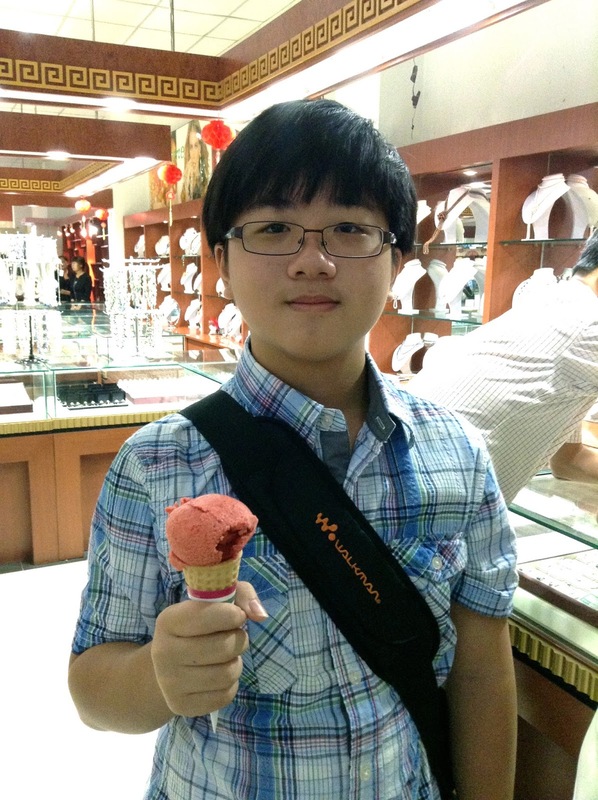 We started the day with my bro and ice cream, at a place called pearl center where pearls are multi-functional and have many benefits. But we prefer to eat ice cream. 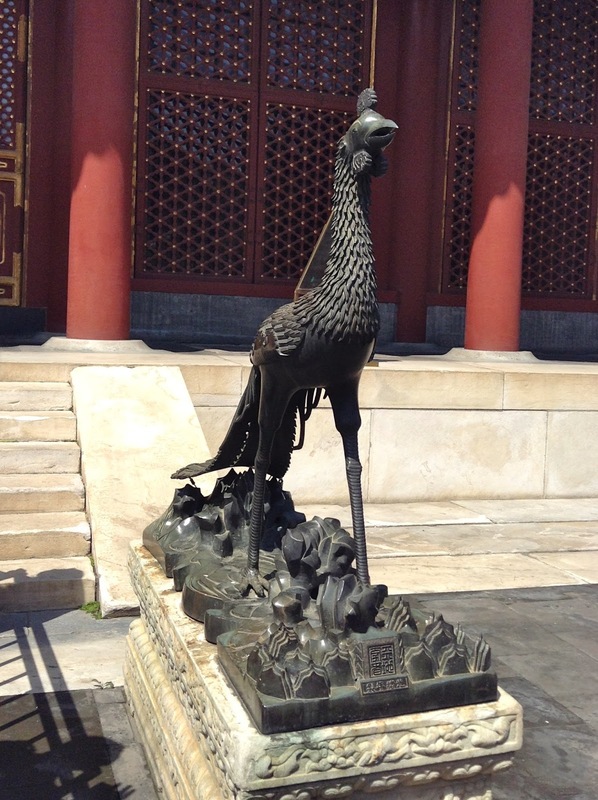 Anyway, we went to the Summer palace afterwards and this is the phoenix statue. Anyway, it was really crowded that day and we soon headed inwards. Again, Jess, Ju and I. We seem to be taking photos in this sequence. The scenery is actually quite nice here. Photo of my parents, taken by Jess using my itouch. 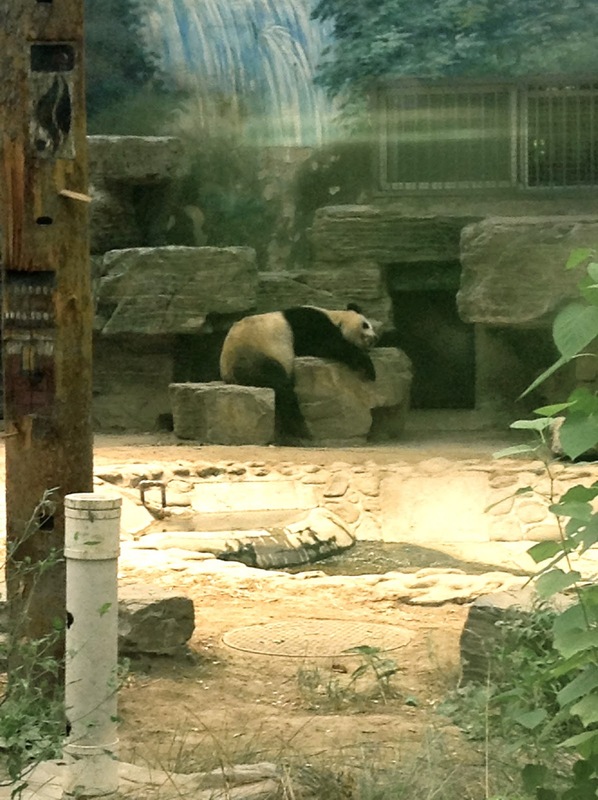 After lunch, we went to the panda zoo! It was scorching hot. No wonder the pandas are sleeping. So I really wanted to take a photo with the pandas that I made my bro do dumb things with me. But you can see the panda right? Apparently, they also showcase how the skeleton of the panda would look like. And how a real panda would look like. 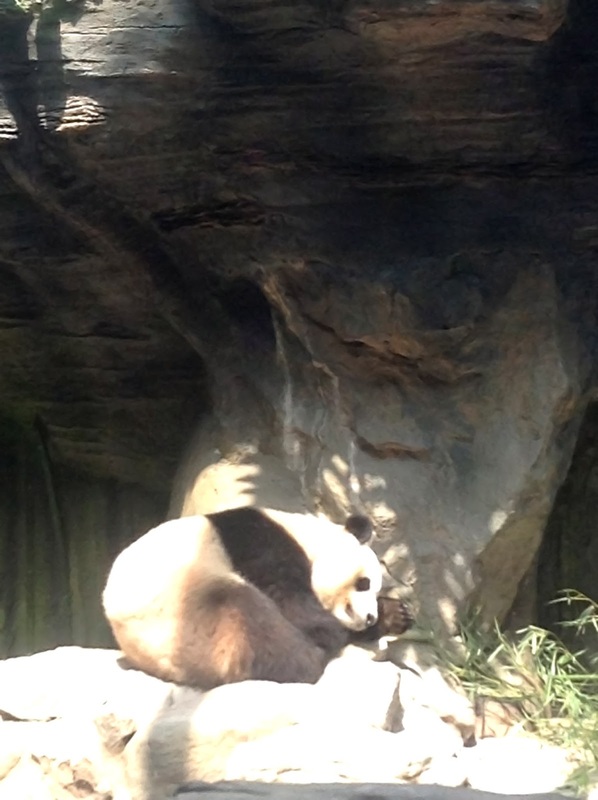 But here's a photo of the panda close up. After the panda zoo, we took trishaw around WangFuJing Street. Too bad I couldn't really understand what the trishaw guy was explaining. Next, we went to QianMen Ancient Street, I suppose. It's a pretty sight though. We are back on the bus, and I decided to take some street photos. I love this shot! Had to quickly snap it when the bus stopped for that brief moment as we made our way to watch a musical/play called the Golden Mask Dynasty directed by the same guy who directed the Beijing Olympics. Anyway, the theatre experience was amazing though it ended really late. And on the way back, it was already night time and I took some night shots. Lastly, night lights on the ceiling!